The Brenner Base Tunnel (BBT) is a straight, flat railway tunnel connecting two countries. 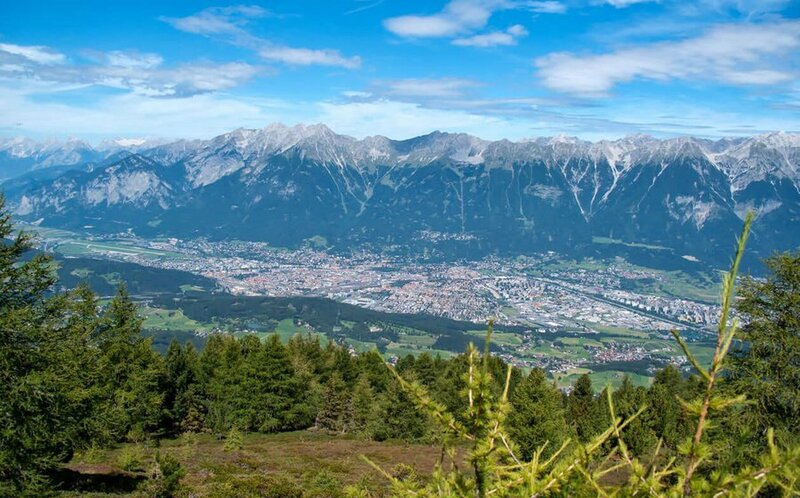 It runs for 5 km between Innsbruck (in Austria) and Fortezza (in Italy). 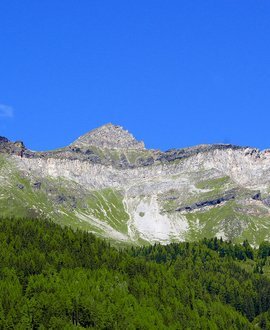 In May 1994, a railway bypass was opened south of Innsbruck, known as the Inn valley tunnel. This 12.7 km tunnel links to the Brenner Base Tunnel. Passenger and freight trains along this stretch will therefore not only travel through the Brenner Base Tunnel, but for a few kilometres, through the Inn valley tunnel as well. 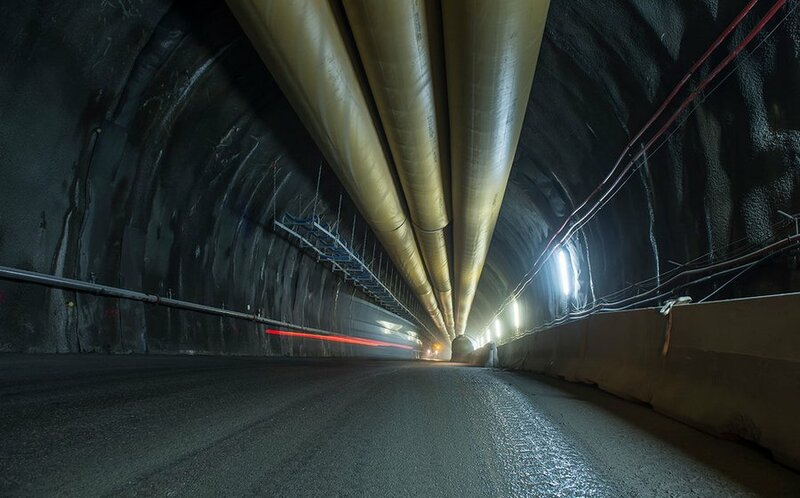 This line, totalling 64 kilometres, will become the longest underground railway connection in the world. The BBT is a complex tunnel system. 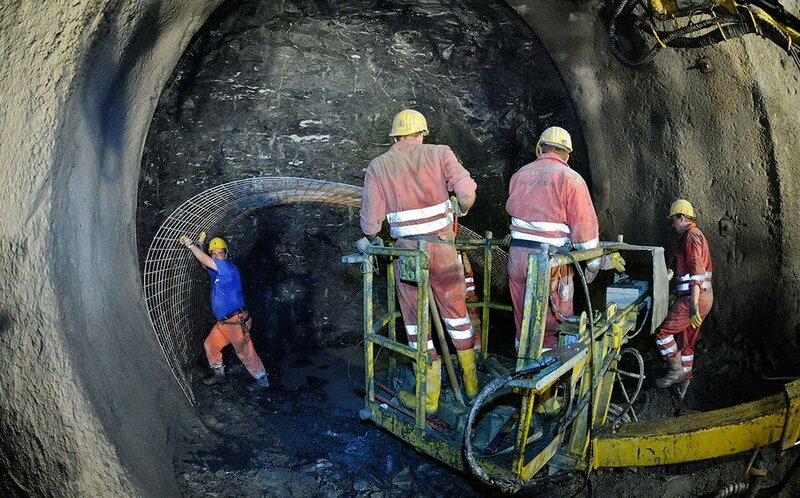 Besides the two main tubes and the exploratory tunnel, there are connecting tunnels, side tunnels and emergency stops plus four lateral access tunnels. A single track runs through each of the two main tubes. We speak of a base tunnel when a tunnel runs through a mountain without noticeable sloping (so it may also be called a low-gradient railway). 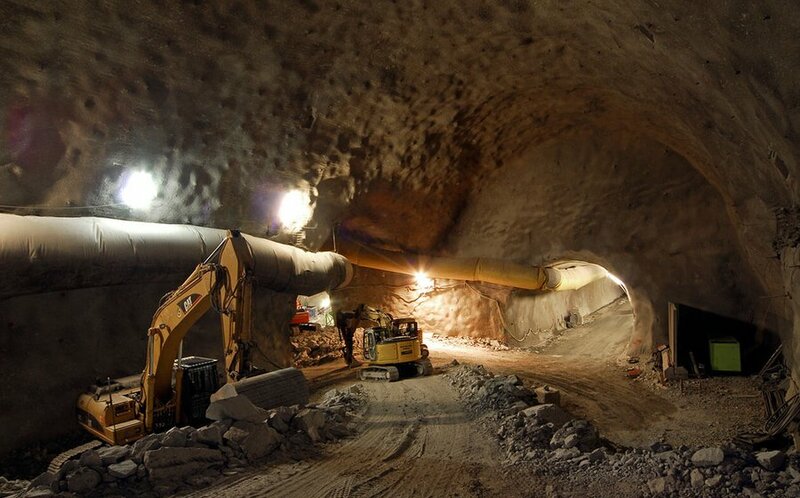 Base tunnels are built almost only through high mountain ranges. 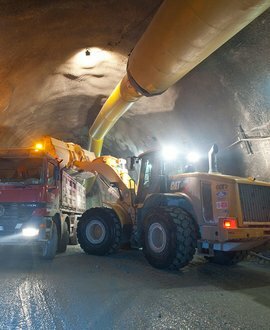 The exploratory tunnel is important to obtain further information about the inside of the mountain and therefore plan the construction of the main tubes with a higher degree of precision. 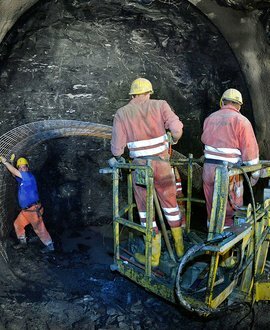 During the construction of the main tubes, the spoil will be removed through the exploratory tunnel. 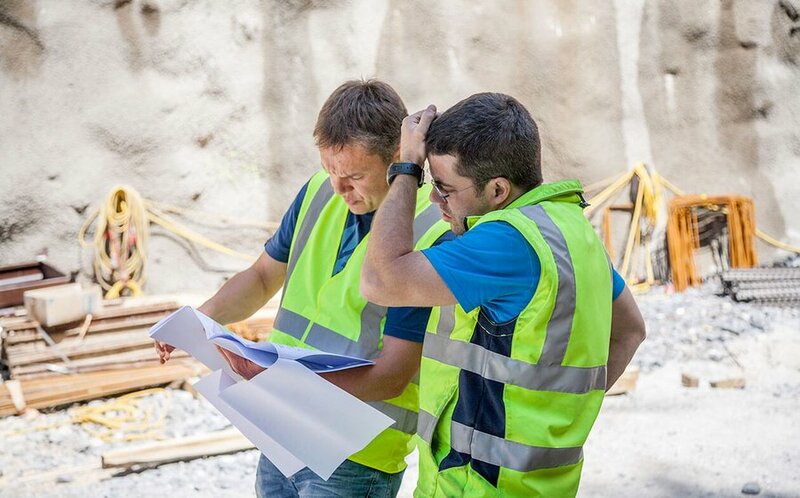 Construction can therefore continue undisturbed. 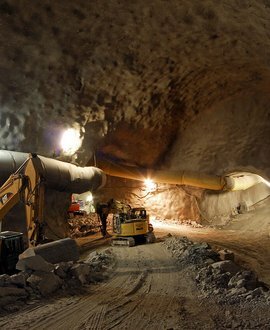 The exploratory tunnel also serves as a drainage tunnel for underground waters that collect in the entire tunnel system. Both main tunnels are linked every 333 m by connecting side tunnels. These are safe areas in which passengers can find refuge and reach the other tunnel. From there, a rescue train can bring them to one of the three emergency stations. An access tunnel leads from these underground stations to the open air. 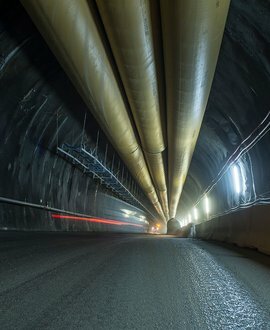 It stretches for 64 km between Fortezza and the tunnel entrance in Tulfes, near the Innsbruck bypass that was built in 1994. 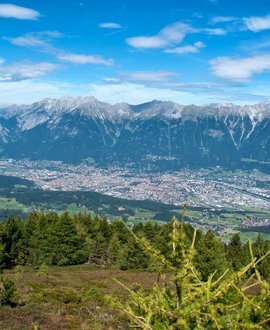 The length of the tunnel from Fortezza to Innsbruck is 55 km. The geological information we have is based on preliminary prospection studies that have been going on for decades. 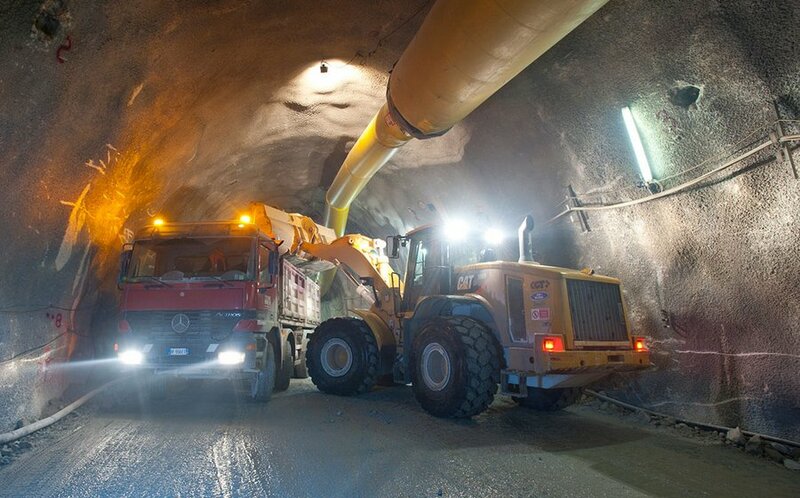 So far 200 prospection borings have been carried out, in which over 35,000 m of stone were removed from the mountain, to evaluate the rock mass along the planned tunnel route. The BBT consists of two tubes, each 8.1 m wide, running 40-70 m apart from one another. These tubes are each equipped with a single track, meaning that train traffic through the tubes is one-way. The two tubes are linked every 333 m by connecting side tunnels. These can be used in emergencies as escape routes. This configuration conforms to the highest security standards for tunnels. The slope in the base tunnel is 6.7 ‰ on the northern side and 4 ‰ on the southern flank of the Brenner. 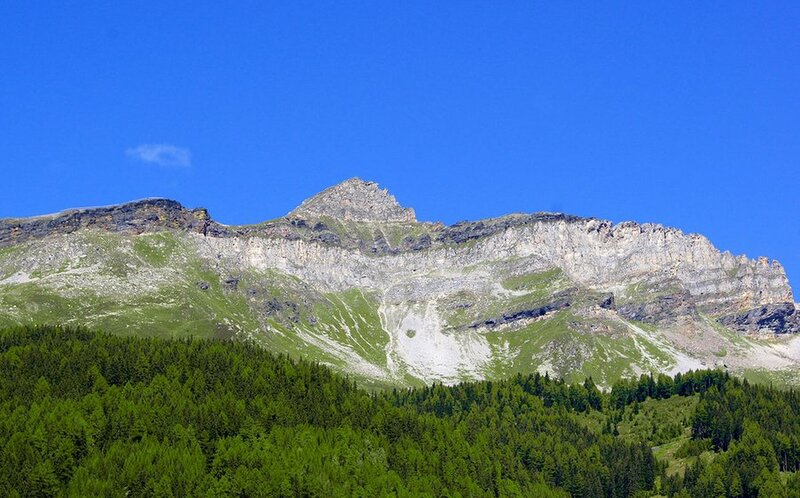 The apex height is 790 above sea level, lying 580 m below the Brenner Pass itself (1,371 m). The lateral access tunnels in Ampass, Ahrental, Wolf and in Mules link the Brenner Base Tunnel with the outside world. Smaller cross-tunnels connecting the two main tubes are located every 333 m.
In case of unforeseen events, trains can halt at the underground emergency stops (Innsbruck, St. Jodok, Trens). For the project planning, 35,000 metres of prospection boreholes were drilled. These provide information on the geological conditions inside the mountain. Railway traction will be 25 kV 50 Hz. The European-level signalling system ERMTS II will be installed.